This recipe is so so easy and yet so so delicious and the perfect Autumn dessert. When apples are in season I buy a lot and this is one of my go-to recipes. 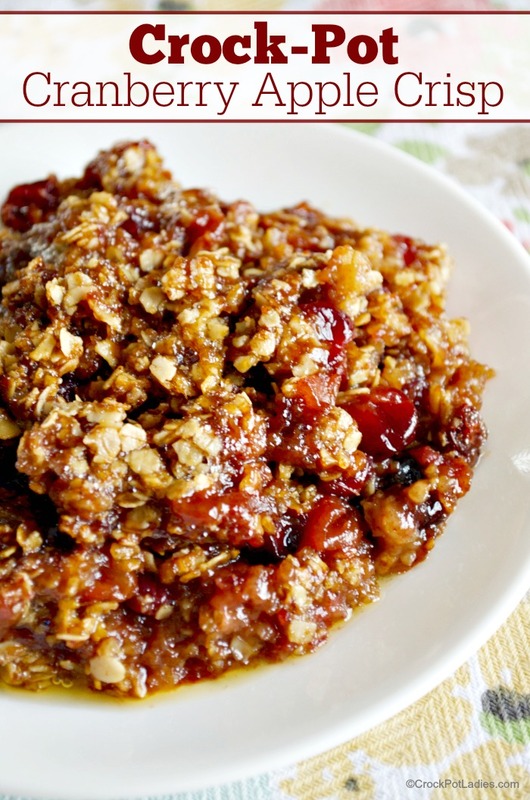 The tartness of the cranberries is a nice balance to the apples and sweet spice scented crisp topping! Serve with vanilla ice cream or whipped cream or just plain, anyway you serve it this is sure to be a hit! 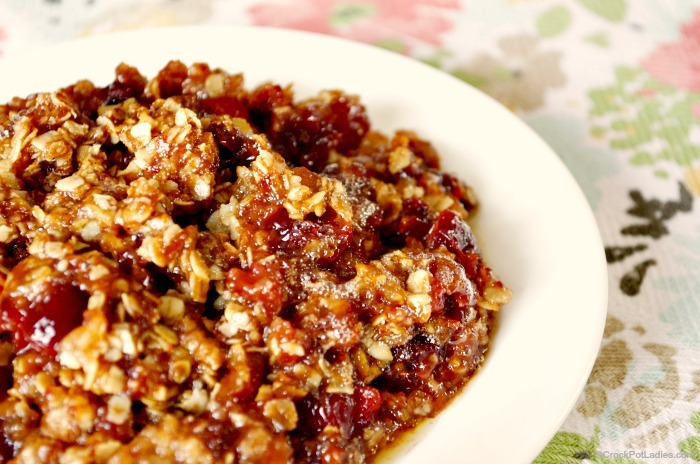 Crisp topping and sweet apples are paired with tart cranberries for this Autumn treat! The hardest part of this recipe is peeling and slicing the apples. 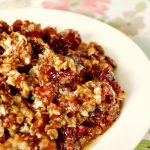 Place apples, cranberries, granulated sugar and 1 teaspoon ground cinnamon in the bottom of a 6 quart slow cooker and stir well to combine. Mix all ingredients for crisp topping: oatmeal, brown sugar, flour, butter and spices together with a pastry cutter or two knives, in the food processor or with your hands (I used my hands), until combined and crumbly. Sprinkle crumb topping over apple mixture covering entire top of fruit. Place a layer of paper towels or a clean, thin kitchen towel between the lid and the slow cooker insert to prevent condensation dripping on your crisp. Cook on LOW for 4 hours or until the fruit mixture is bubbling around the edges. Serve with vanilla ice cream or with whipped cream! I would like to make the Apple/Cranberry Crisp but have two problems, namely, make it ahead of the due date & I have a 5 qt. crockpot. Please make some suggestions. Without proper recipe testing I cannot give a definitive answer. 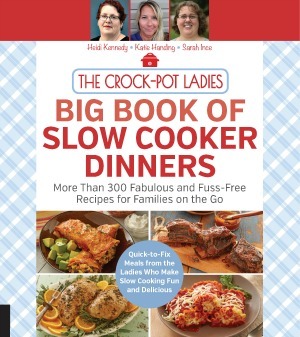 However I think this recipe should be fine cooked as the recipe indicates in a 5 quart slow cooker. And I don’t see why you could not make this ahead of time. This recipe only calls for 2 apples. How many servings does this recipe make. Hi Gordon, I have edited the recipe to include the servings. It serves 4 to 6 depending how big of a serving. When I make this and serve it as it it serves 4 but if I serve it with ice cream I usually can get away with 6 servings. You can of course add more apples too. I made this,and it was delicious. I want to know if I could double the recipe? Thank you. This recipe has not been tested doubled. But if you try it out come back and let us know how it turns out for you Rosie.